I think it’s fair to say it’s been quite a turbulent year. But amongst the chaos and political shocks, there has been some pretty good films. It hasn’t been an amazing year for movies, as there have been quite a few disappointing releases. There are still quite a lot of films that I never got round to seeing, that could have potentially made my list. But without further ado, here are my favourite picks of 2016. Note: This list is based on UK release dates. New Zealand adventure comedy, Hunt for the Wilderpeople is a film I stumbled upon randomly without much prior knowledge of it. To my surprise, the film made for a hilariously entertaining watch. The film’s plot and overall tone are comically ridiculous, but that’s kind of the point. It’s a funny little film that’s well-worth watching, and plus it stars Sam Neil – the Jurassic Park and Peaky Blinders guy. Just thinking about The Nice Guys, leaves me with a grin on my face. It’s one of the funniest films I’ve seen all year. I think it takes a certain type of sense of humour to enjoy The Nice Guys because a lot of the jokes are darkly funny. It’s an old school detective movie, but it feels fresh at the same time. Ryan Gosling and Russel Crow deliver comedy gold. The sequel to Cloverfield? Nope, think again. Shane Black’s 10 Cloverfield Lane has virtually nothing to do with the 2008 found-footage film but acts more as a ‘spiritual’ successor. Instead of being a monster movie like the former, 10 Cloverfield Lane is a psychological thriller focusing on a young woman who wakes up in an underground bunker, and from that point, she experiences all kinds of nightmares. It’s a thoroughly enjoyable film. Highly tense and suspenseful and as cliche as it sounds, it always keeps you guessing. Even though superhero fatigue has started to kick in for me now, I really enjoyed Captain America: Civil War. This is partly because I didn’t really see it as a Captain America film, but as an Avengers film, because of the big mash-up of superheroes. The film is incredibly entertaining and when we watch a superhero movie, that’s mostly all we ask for. But it does have a good story, as it’s one with genuine value because it makes you think about political ideologies. 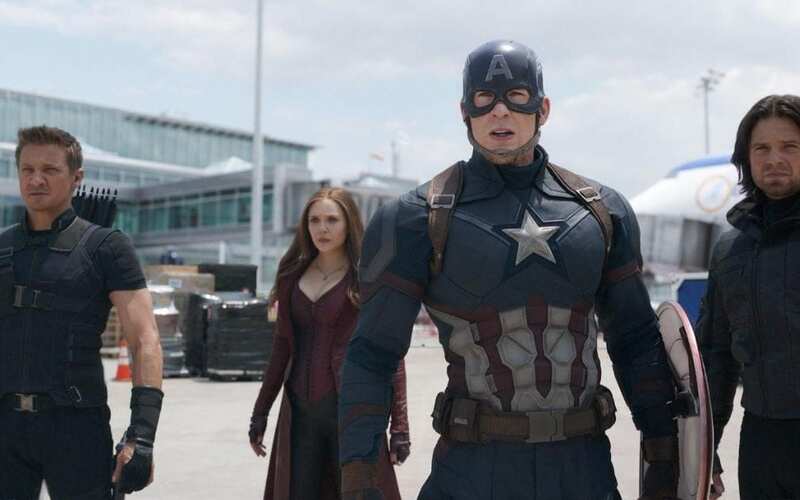 However, I do think that Captain America: Civil War is a film that’s better when watched at the cinema. Big-budget films are made for the big-screen, but if you didn’t get round to seeing it at the cinema, it’s still definitely worth a DVD purchase, or a watch via streaming services. To date, it’s one of the greatest superhero films I’ve ever seen. Enthralling, captivating and ambitious, The Revenant is a grandeur film and Leonardo DiCaprio continues to prove why is one of the greatest actors working today. The film is intense and atmospheric, and you feel every inch of Hugh Glass’ (DiCaprio) struggle for survival, and his unwavering determination to avenge the men who betrayed him. I’d be willing to bet that if you asked ten random strangers on the street if they have heard of Captain Fantastic, the majority would give you blank stares. My point being is that not enough attention has been given to such a brilliant film. Despite its title, this one isn’t about superheroes or anything of the sort. It’s indie cinema at its finest, telling a heartwarming and simple tale of a father who raises his children in the wilderness, as he’s convinced they’re better off away from mainstream society. It’s poignant, funny and very refreshing, so it’s a film I seriously recommend. 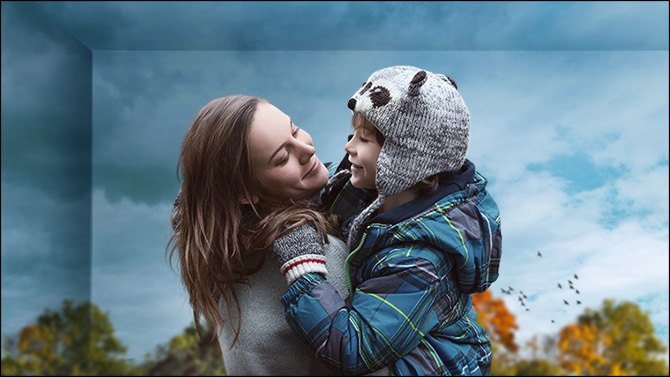 Room is simply a brilliant film, which came out all the way back in January, so it just manages to get on this list. It focuses on a mother and her young son, who live in an enclosed space, and it’s about an entire world existing within the confines of a small room. But it’s still so much more than that. It’s an emotional journey from the perspective of a five-year-old boy, and it has some great performances all-around. Ahh, now what can I say about Hell or High Water? This modern-day western is one of my surprise favourite films of the year. If I was judging the year’s best films purely on acting, then Hell or High Water would top the list. Ben Foster, Jeff Bridges and Chris Pine deliver seriously great performances, but the film doesn’t just ride on those three. It’s a glorious film which perfectly balances action and quality storytelling. Arrival is one of the most fascinating films I have seen in years. I loved everything about it, for many reasons; one being that I found the whole concept behind the film mind-blowing. It managed to meet my very high expectations also, due to the monumental critical acclaim the film received. It really is as good as everyone said and I can’t wait to watch it again. Placing Swiss Army Man as the number one film of the year might come as a surprise to many because there are a lot more obvious choices. Daniel Kwan and Daniel Scheinert’s quirky film is a totally mad, crazy and just plain weird. And that’s exactly why I loved it. It’s one of the most truly original films out there because there’s simply nothing else like it. It’s unique in every sense of the word. All I’ll say is that it’s about a depressed man and a farting corpse, who are stranded on a deserted island. I respect that this film may just be too weird for some people, but if you look beneath the quirks, you’ll find deeper meanings about self-acceptance, loving yourself and what it means to be human. So, what do you think of my choices? Let me know your thoughts in the comment section! When you put Arrival at second place, I really wondered what you had put on the first. Seeing Swiss Army Man there gave me quite a laugh! I liked it a lot. Definitely devisive. It is divisive, and definitely not for everyone but I loved it! Great list! Arrival will easily be in my top 5 when I create my top 10 of 2016 list…perhaps even top 3. Have you seen Moonlight yet, or has it not been released where you are? It’ may be my movie of the year. Thanks! I haven’t seen Moonlight, it’s not out in the UK until February. Looking forward to seeing it though. Fun list Liam. I love these things. 2016 gave us plenty of movies to discuss. Just post my favorites and we definitely share some. Arrival, Wilderpeople… wonderful! Good choices. I think Civil War is mine with Arrival in a close second. Thanks. Both really good films and rightly deserve their places. Great list man, LOVED Hunt For The Wilderpeople! Do you ever share your lists/articles on any film sites? Hey, thanks for reading! I don’t at the moment but it’s something I plan to do, but haven’t got round to it yet. I’m actually a content manager here at moviepilot.com, it’s an open platform very similar to WordPress. Would you be interested in trying to have some of your work seen there? Send me an email if you’d like to know more! If you’re interested in giving moviepilot.com a try, shoot me an email! I’m actually a content manager for the site and we’re always looking for more enthusiastic and talented contributors.